I’ll admit it: sometimes I’ll buy a hardcover book just because it looks pretty. And while The One Hundred, a book that D’s sister gave me this past Christmas, is filled with beautiful images, I was pleasantly surprised that it is also an amazing resource for those looking to build their wardrobes from the ground up. 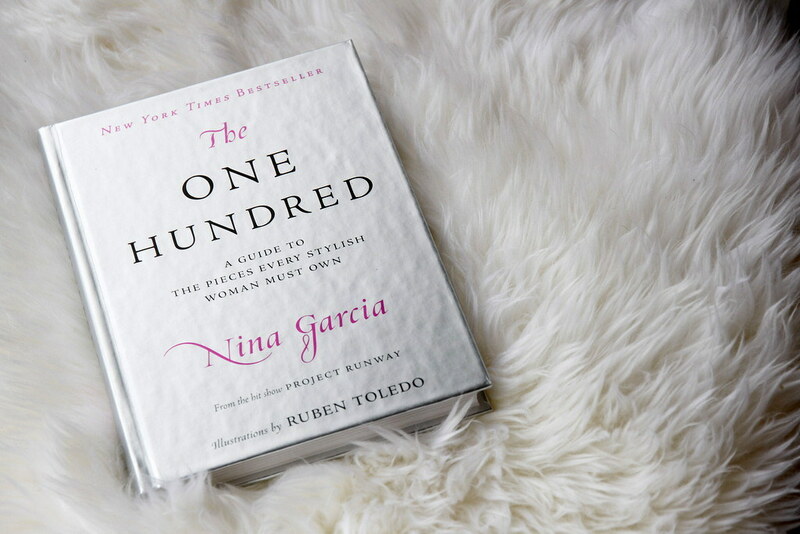 Although I don’t agree with all 100 items in the book (Nina does say that “if you are not altering … some of the items on this list to suit your personal style, you are not playing the style game correctly”, after all), it does inspire me to be more discerning, to pay attention to what I really like & to ultimately feel good wearing what’s in my wardrobe. Here are a few of my favourite pages from the book. I think I need to check out this book now! Seems like and interesting book and if you don’t like the content it can still be use as decor for your coffee table. I read this book a couple of years ago. It’s not bad but I agree, sometimes her suggestions were a little condescending or “out-there”. 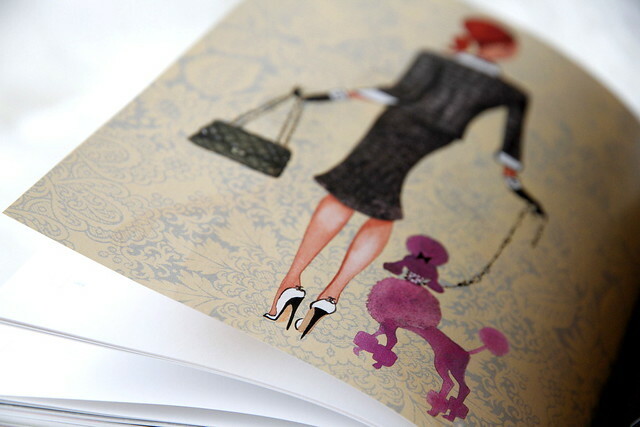 Still worth a look though, especially if you love fashion! Aw, love this post! 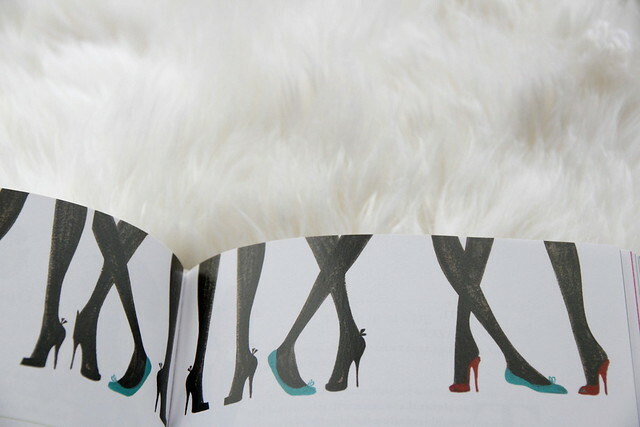 I love collecting fashion books, they look so great on a coffee table! This one looks like there’s great info too! I also don’t agree with all 100 of the items she lists, but it’s still interesting to know. 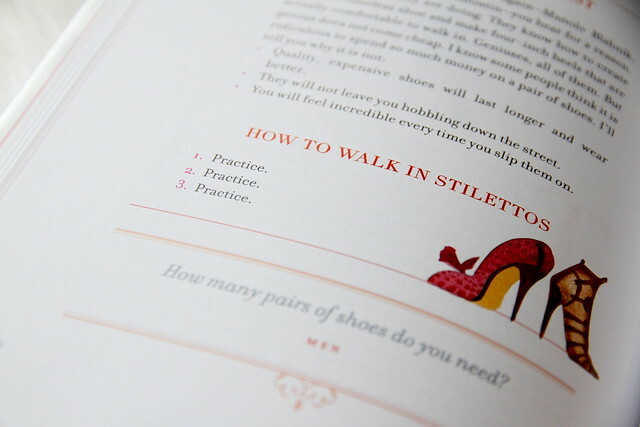 Hahaha I loved how it just said to “practice” to walk in stilettos – it’s such a cliched piece of information, but it’s the only way that works. The book is so inspiring! I’ve been meaning to pick up a copy of this book! 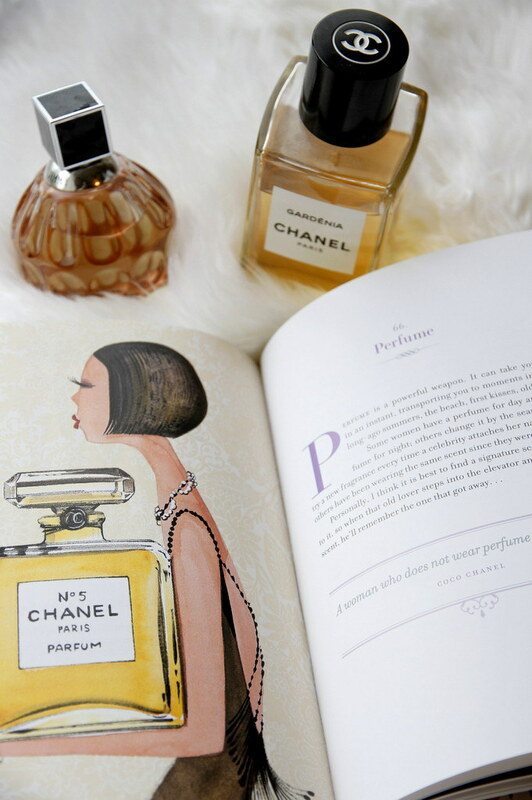 Thanks for sharing some of the lovely illustrations in the book. Will be sure to check it out. These are such lovely photos!! Love your blog. 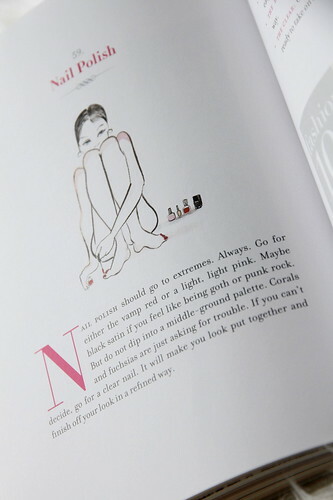 PS: does the book say anything about how your knees supposed to be as you walk with mid to high heels? straight? bent?